As we have pointed out over the years, industry is very adept at seeking out “altruistic” partnerships with different organizations in order to advances its own goals. 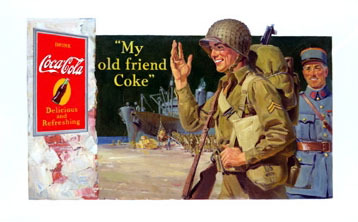 In the case of health organizations — like its sponsorship of the Academy of Nutrition and Dietetics and the American Academy of Family Physicians until last year — the idea is simple: shell out a few hundred thousand dollars (pennies to a company like Coca-Cola) to foster the illusion that your company cares about health and wants to be “part of the solution” (never mind the millions Coca-Cola spends lobbying against public health measures). As much as Big Soda likes to deny it, a growing body of research continues to bring up the negative health effects of sugar-sweetened beverages on heart health.